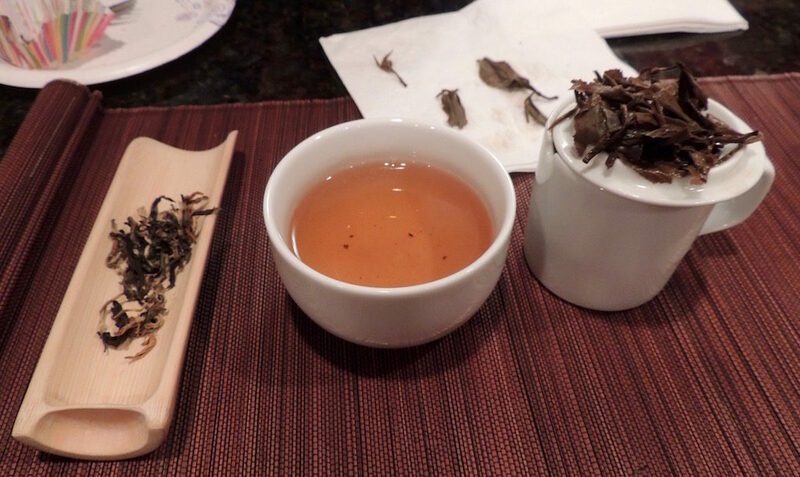 To celebrate National Hot Tea Month, I invited Will from Goldsmith Teas to come back and do a black tea tasting. We had a lovely afternoon tasting and talking about tea accompanied with some lemon scones and banana cake (thank you Carol!). Will brewed four different black teas: Darjeeling, English Breakfast, Royal Golden Tippy Orthodox and Ruby 18. The first two teas I was familiar with and are common teas, the other two I had never heard of, but boy were they worth tasting! 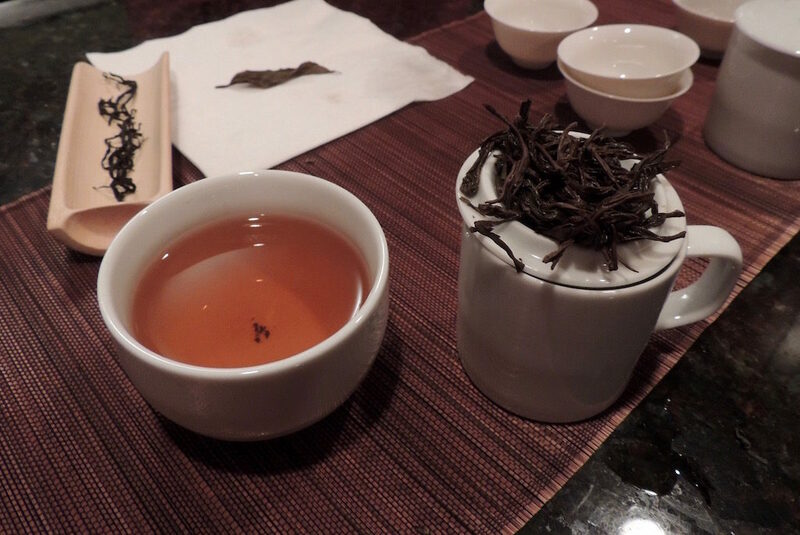 There are over 250 tea varietals grown primarily in Asia: China, Taiwan and India. These teas become either green or black teas depending on how they are treated after picking. Other factors that affect taste and color are the land/soil, rainfall and altitude/temperature where the teas are grown. 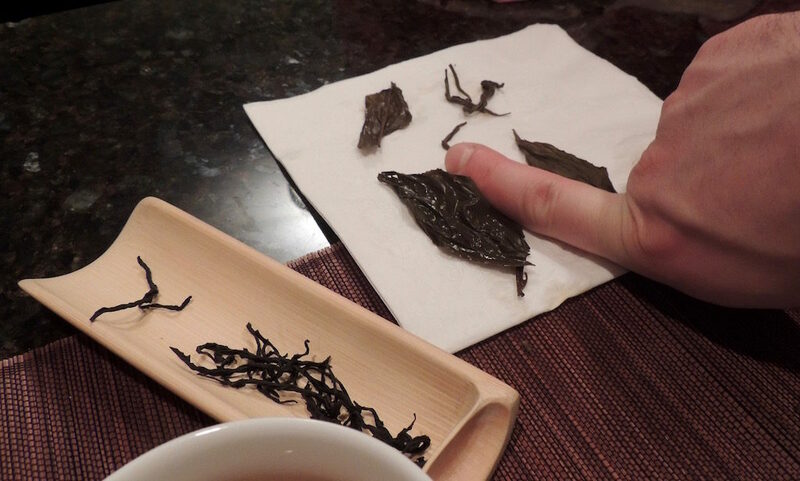 The process of making black teas is labor intensive. The leaves are left to wither in the sun for about a half a day. After which they are subjected to a mixture of air and intense heat (temperatures range from 400 to 1000 degrees F), from one up to as long as five minutes. In between firings, the leaves are culled and twisted. This process can be repeated as many as twenty times, depending on the desired outcome. In addition to drying and infusing the leaves with a smokiness, the intense heat activates the Maillard reaction, where the natural glucose interacts with the protein in the tea leaves and creates a sweet, and in some instances, a caramel-like flavor. Darjeeling tea comes from the Darjeeling region in India. This tea stands up well on its own (does not require milk, sugar or lemon). It has a light amber color and and a medium flavor. English Breakfast tea is a blended tea that can be sourced from two or three continents. The leaves are curled, rolled and crushed. It is a stronger tea blended to go well with milk and sugar. 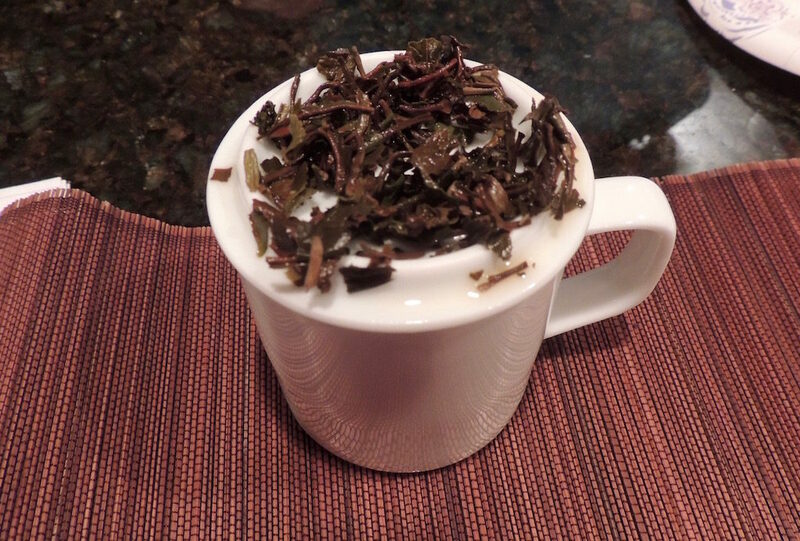 The Goldsmith Tea’s English Breakfast tea is a blend of four teas Each tea house has its own formula of blends that they strictly adhere to for consistency in flavor. This is one of my long standing favorites and I have it in both the loose tea leaves and sachets. This is a relatively new tea varietal that comes from Kenya. The leaves are long and gently twisted with a golden hue – the result of the Maillard reaction. The tea has an inherent sweetness and as one taster commented, a bit of citrus. Ruby 18 comes Taiwan. 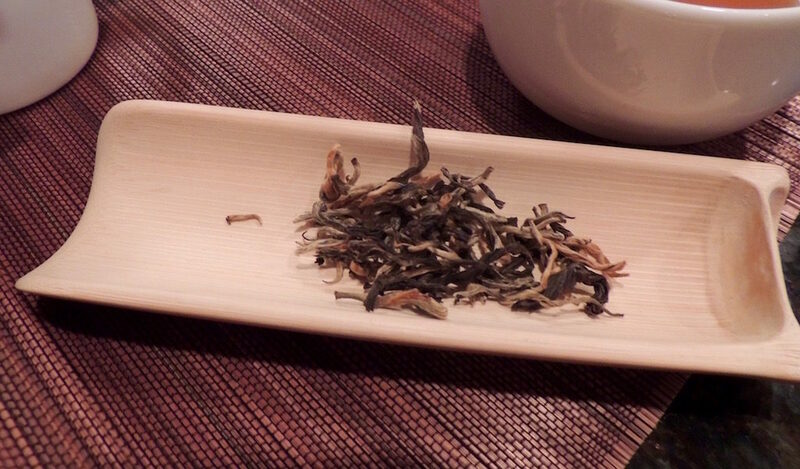 The long, large leaves are traditionally twisted by hand, fired, culled and twisted again. After the first brew, you can still see the slightly curled edges of the leaves. The next brew opened up the leaves and you can see the serrated edge. Look at the size of these leaves! 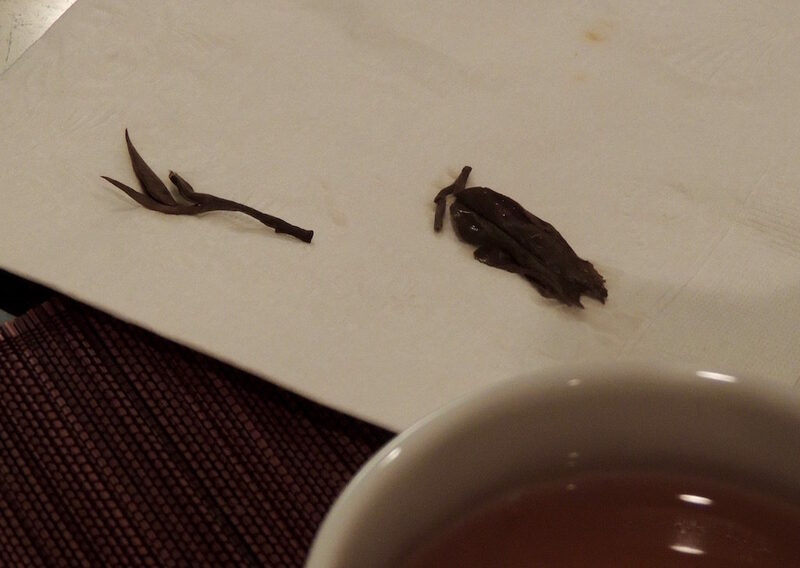 Will brews the loose tea in a small covered cup with a tiny slit on the top of the cup for pouring. 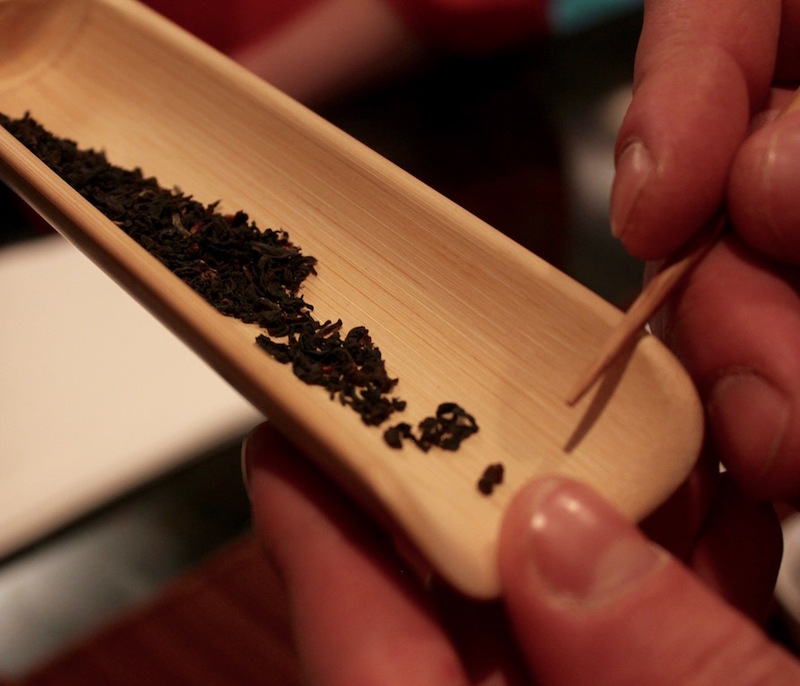 This provides room for the tea leaves to absorb the water and expand. The best way to optimize flavor and color. I find that the t-sac (http://www.amazon.com/T-Sac-Filter-Disposable-Infuser-Capacity/dp/B001BLCIN4) I use doesn’t have that much room and some of the larger leafed teas don’t expand as much as his. This does affect flavor and I’m now using a teapot with a removable infuser with much better results. He recommends brewing the tea for three to five minutes, he brewed these teas for four minutes. 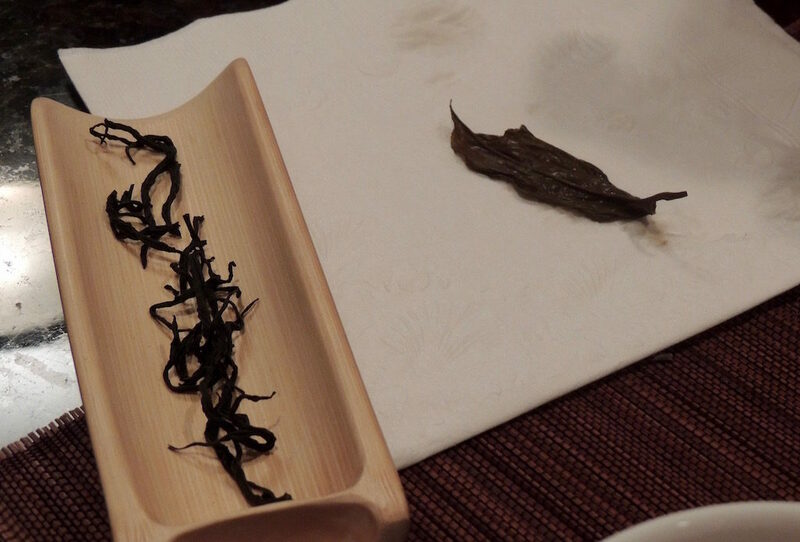 Check out our green tea tasting from August last year! Will also recommends reinfusing the same tea two or three times. Though the tea may not be as strong, there is still good flavor left. There are two methods to choose from to make iced tea, hot or cold. and let sit eight hours. 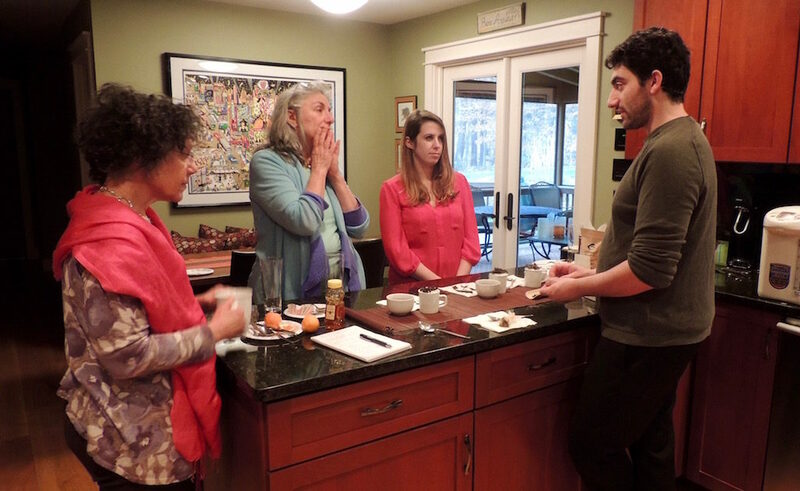 Thank you Will for another fact-filled afternoon of tea tasting!